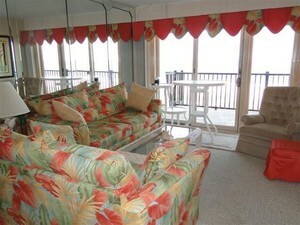 This is one of those hard to find 3 bedrooms plus a den direct ocean front. Many updates including bathrooms. Well run midrise masonry building. A Must to see. The unit shows like a model. 1 year AHS warranty to convey to Buyer at settlement.